Pradhan Mantri Yuva Yojana formerly known as udyamita scheme is a scheme launched by the Modi Government to provide a training and educational knowledge to the youth trying to become an entrepreneur. This yojana is sponsored by the Central Government by the Ministry of Skill Development and Entrepreneurship, Government of India. The Scheme is targeted to run for the five year from 2016 to 2021 training over 7 lakhs student and young entrepreneur. The project budget will be around 499 crore provided by the Central and State government jointly toward the development of the entrepreneur. Education is the most important aspect of this scheme by delivering the entrepreneur with skill free of cost with Massive Open-online Courses (MOOC) which will be assessable through the Learning Management System (LMS). You will also get a certification for participation in the scheme. Entrepreneur Ecosystem is a place where all the businesses, investors and companies meet and develops. It also provides a Mentor Program for an individual to get the best support needed to start a business. E-Hub is a place which is established to promote entrepreneurship development programmes all over the nation. It was established at all level Nodal, Regional etc. It will be responsible for managing the entrepreneur, institute and faculty with its Cloud-Based Management Information System. Organizing and creating a culture of dynamic entrepreneurship through events, branding and media. It also drives entrepreneurship research & advocacy by Supervision of the progress of the beneficiaries. Every Individual who is a citizen of India and above the age of 30 can participate in this scheme. Other than that there is no other major Eligibility requirement of the PMYY Scheme. You need to contact the joining institute before applying to ensure a smooth admission process. The list of Institute with the contact details will be listed in the official website of Pradhan Mantri Yuva Yojana. How to Enroll in the PM Yuva Yojana? 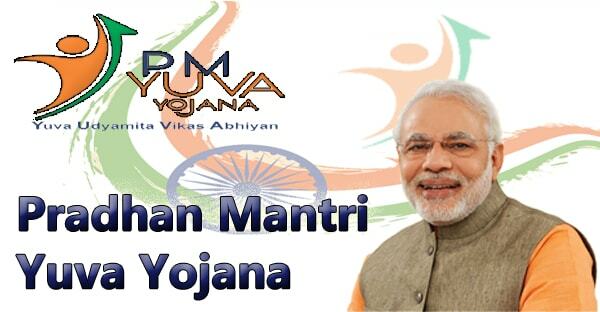 To enroll in the PM Yuva Yojana you need to contact the nearest institute or development center. The institute will provide you with detail about the registration process. A Loan can also be availed under the PMYY scheme which provides you with adequate funding options to start your business venture. This scheme creates an ecosystem where you will be hand holded from start to the end by industrial expert and the training faculty. In PMYY Scheme, the courses offered are divided into two levels a basic level course and an Advanced level course. All these courses can range up to 6 months and after that, the individual completing the course will be offered with the certification of participation. There are four types of institutes that offer different courses. Through this course, the EDC candidates will be able to launch their own venture by applying the venture creation knowledge and skills to their domain of expertise. Here the modular courses will be offered as decided by the National E-hub for specific business skills such as inventory management, sourcing, bookkeeping and financial discipline, digital marketing, general administration, barefoot managerial skills and communication skills etc. Course duration will be decided by National E-hub in consultation with EDCs.